If you live in and around Charlotte, you know that house prices have been skyrocketing lately. It’s a seller’s market, which makes it tough to find a great home for a great price. Despite the rising sale prices, there are still a few areas near Charlotte that are affordable, safe, and tons of fun. Check them out below. Eastway-Sheffield Park is the merging of two Charlotte neighborhoods located north of Independence Boulevard (US-74) between Eastway Drive and Albemarle Road. 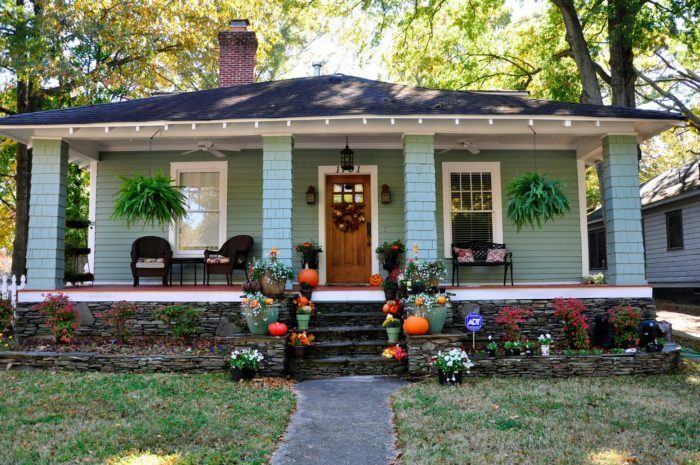 Transitional and up-and-coming, these neighborhoods are a great option for first time homeowners looking to purchase an inspired 1950s home without paying Charlotte prices. These neighborhoods are becoming increasingly popular, as houses are listed for sale as low as $140,000 and averaging in the low $200,000. This is a great spot to invest in something that will prove its worth far into the future. Oakhurst is another up-and-coming neighborhood located off of Independence Boulevard, on the outskirts of Cotswald and Monroe Road. An artsy, eclectic neighborhood where the median home value is $137,100, Oakhurst is affordable and fun. Oakhurst is rapidly expanding and local businesses are beginning to recognize the value of relocating to this neighborhood. 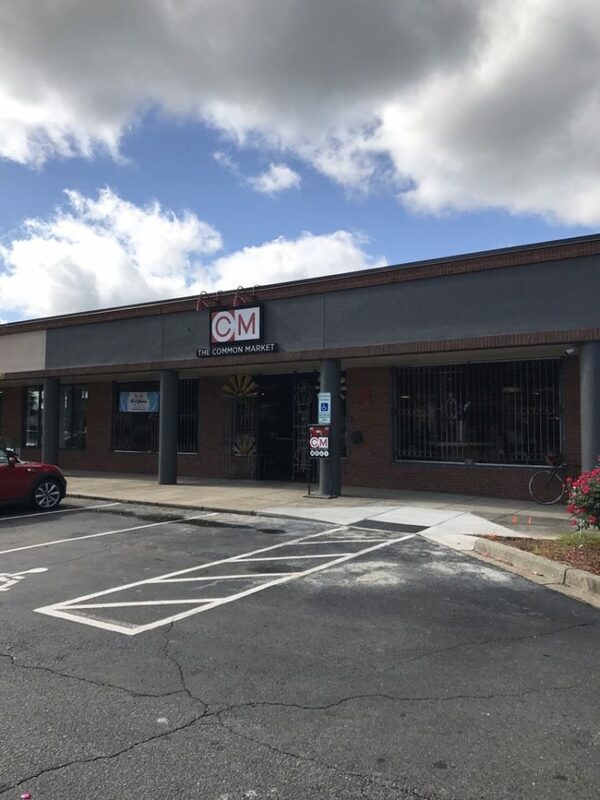 Trendy Charlotte hotspots like the Common Market are popping up everywhere, and Oakhurst is giving neighboring areas like Cotswald and Elizabeth a run for their money. Pineville is not only an affordable place to live near Charlotte, but it's also the birthplace of America's 11th president, James K. Polk! Pineville has a median home value of $142,200, which is $36,400 less than the national average. Finding a home for less than this is going to be hard to beat! 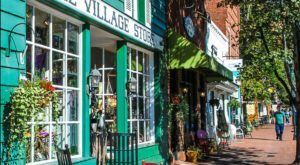 Pineville offers residents tons of restaurants, shopping and more and is becoming one of the more popular places to live outside of Charlotte. Indian Trail is an awesome little suburb in Union County, approximately 15 miles from Uptown Charlotte. 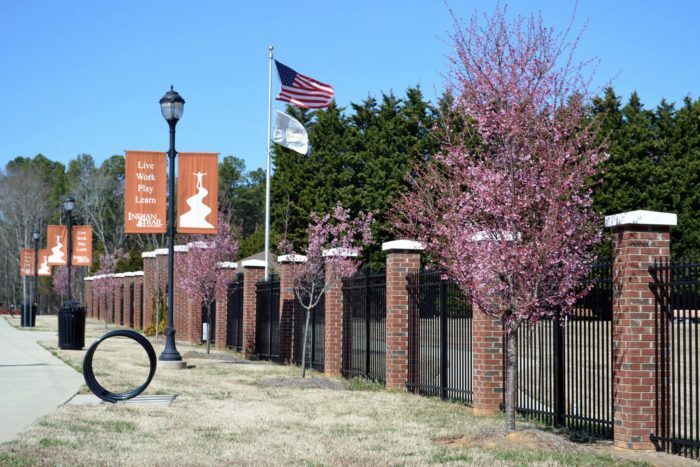 Indian Trail has everything to offer residents, from beautiful neighborhood parks, a lovely little town newsletter, and awesome community events like a Christmas Parade and Tree Lighting, community movie nights, an annual Arbor Day event, and Paws in the Park. The median home value in Indian Trail is $171,000, making it one of the more affordable areas around the QC. 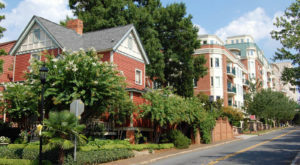 Wilmore is an up-and-coming neighborhood bordering Charlotte's popular Southend area, with home prices ranging from the lower $200,000 to the mid $400,000. Wilmore is growing rapidly as Charlotte residents look for areas on the outskirts of city hotspots with lower prices than those homes located directly in the city. There are tons of local businesses and restaurants that call Wilmore their home, but you better jump on these prices fast because they won't last for long! Mint Hill is a lovely little suburb on the outskirts of Charlotte near the Cabarrus County Line. 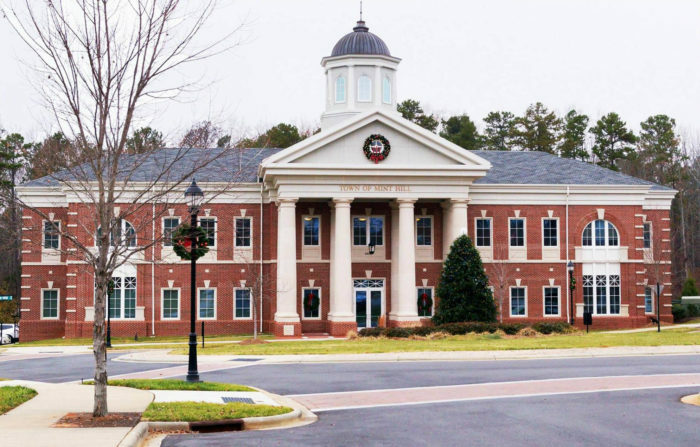 Mint Hill has a population of 24,545 and a median home value is $207,500. This family-oriented small town is only 15 miles from Uptown Charlotte and offers a great community for families, young people, and even retirees. The town hosts regular events, including a Christmas Tree Lighting, the Jingle All the Way 5K, and many other fun events for the whole family. 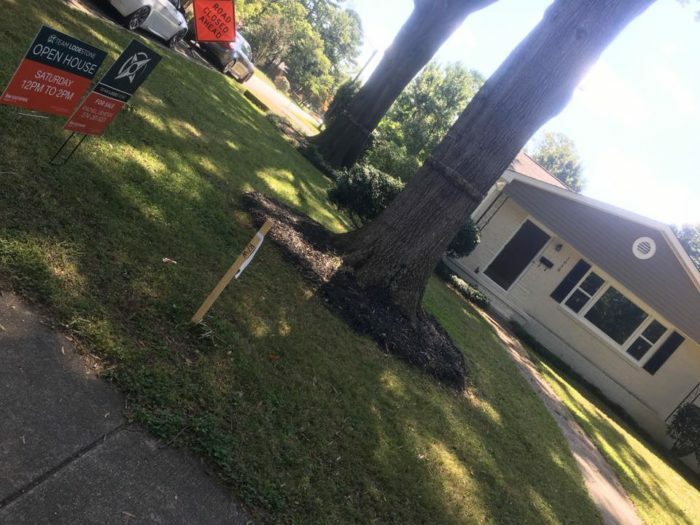 Matthews is located between Charlotte and Monroe and is growing increasingly popular with those who want to live near the city, but don't want to pay city prices. A larger city than some of the others on this list, Matthews has a population of approximately 30,000 and the median home value is $216,500. Charlotteans love living in Matthews because of its close proximity to the city and great public and private school options for the kiddos. 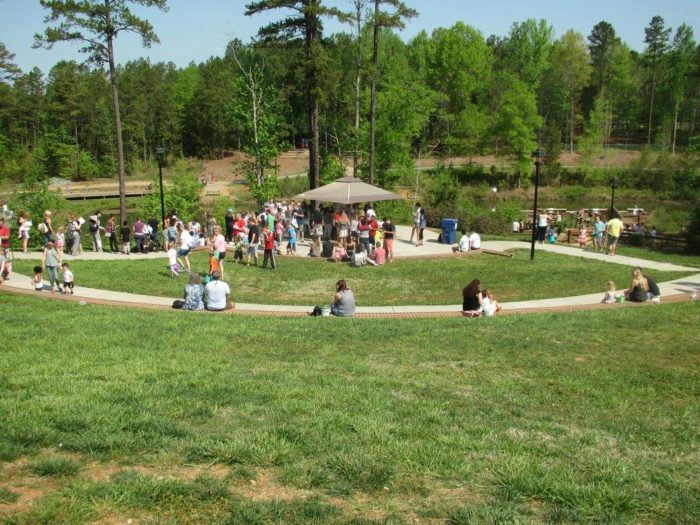 Huntersville is a popular lakeside town located approximately 20 miles north of Charlotte. With a population of 50,433 and a median home value of $250,300, Huntersville is hard to pass up with it's beautiful lakeside views. Settling down here is worth the commute if you like "lake livin'" and Birkdale Shopping Center will give you all the shopping, restaurants, and entertainment you need to love living in town. 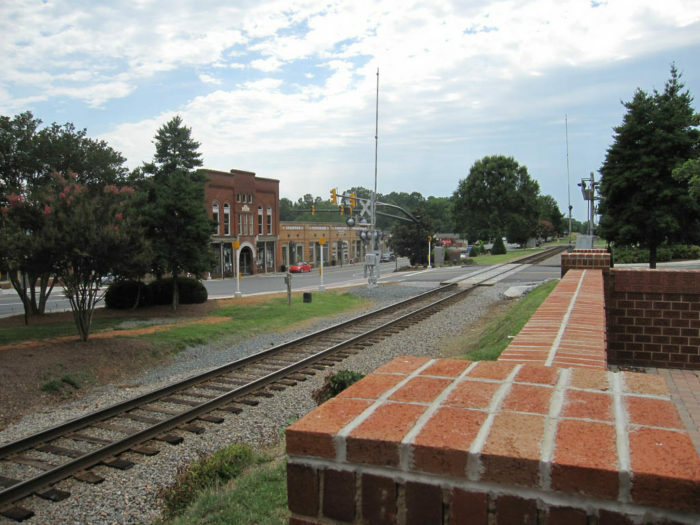 Waxhaw is a beautiful, historic railroad town in Union County that is a fantastic place to live near Charlotte. 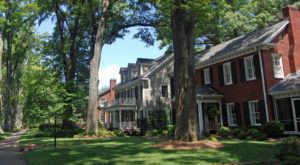 Waxhaw has a population of about 11,500 people and a median home value of approximately $260,000. The local farmers market, city park, and downtown shopping area next to the railroad make this quaint, charming town a big hit with those that move there. 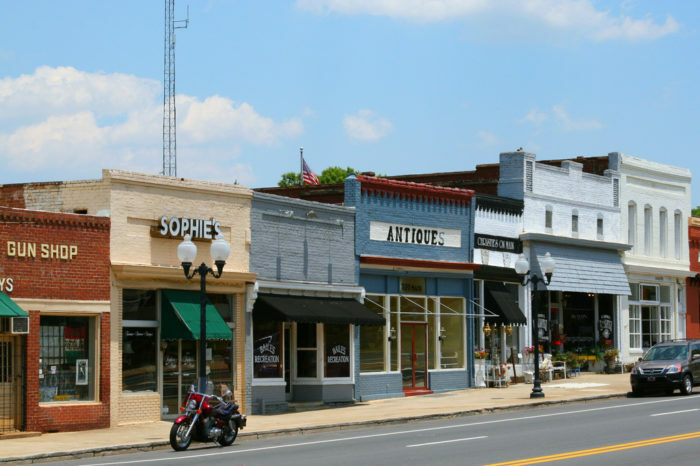 Wesley Chapel is a village about 20 miles south of Charlotte that offers a wonderful small hometown feel. With a population of only 8,010 residents, this is a place where you always know your neighbor and can easily meet people in and around town. The median home value in Wesley Chapel is $320,000. This is an awesome place to live if you are seeking a quiet, close-knit community where you know everyone.! New, affordable areas are popping up all the time near Charlotte. Which ones do you know and love? Let us know your picks for hot spots to keep a lookout for in the comments!